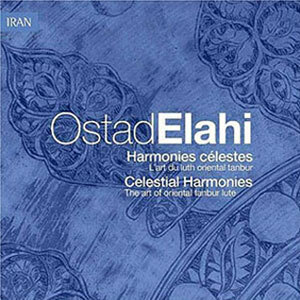 Born on September 11, 1895 in a remote village in Western Iran, Ostad Elahi was a renowned Persian musician, thinker, and jurist. As a child prodigy, Ostad would become a peerless master of the tanbur by the age of nine. Thereafter, under the supervision of his father, a charismatic mystic and skilled musician himself, he spent twelve consecutive years in ascetic retreat and contemplation. 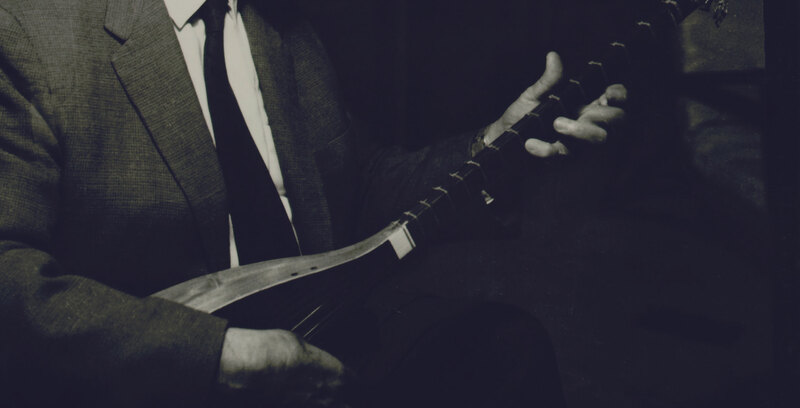 During this period, the tanbur became his nightly companion and closest confidant, as he explored unchartered territories in its sacred repertoire. After his father’s passing in 1920, Ostad left his native village and began to travel, eventually settling in the capital city of Tehran. At the time, the country was transitioning to a modern industrial nation under the rule of Reza Shah. Ostad decided to enroll in the newly established National School of Jurisprudence and embarked on a professional career as a judge. Over the next thirty years, he gradually rose through the ranks before retiring as Chief Justice of the National Court of Appeals. 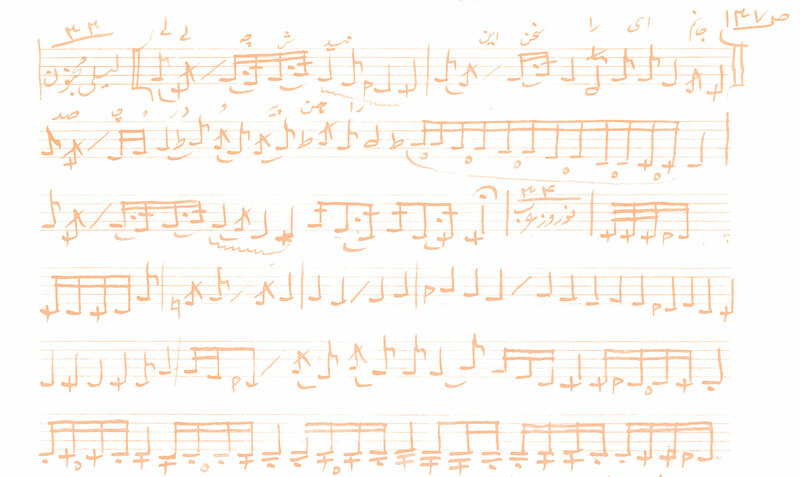 Throughout this time, he continued his regular practice of music, while studying alongside some of the greatest masters of Persian classical music. 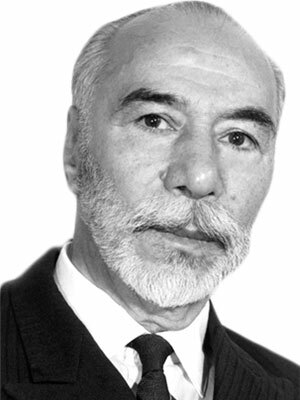 Following his retirement in 1957, Ostad devoted his time to personal research, writing, and music. He published several books in the fields of philosophy and ethics, and founded an innovative approach to the pursuit of self-knowledge. 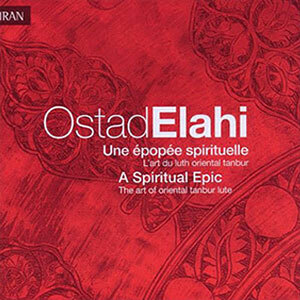 When Musa Ma’rufi, a prominent musician and musicologist, wrote a journal article detailing how he was overwhelmed by the impact of Ostad’s music, various masters and enthusiasts from around the world began to visit Ostad to learn more about this music and its remarkable effects. 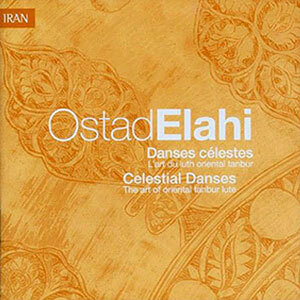 Ostad passed away on October 19, 1974 at the age of 79. His memorial is located in Hashtgerd, a city on the outskirts of Tehran. In the east, the term tanbur designates a category of long-necked lutes of variable sizes, proportions, and sounds. The lutes that belong to this large family are widespread throughout the Turkish and Iranian world, from the Balkans to Turkistan. The sober tones of the tanbur have something immaterial, abstract, and almost ascetic about them, predisposing the instrument to a solemn and celestial kind of music. Appearing as early as the third millennium BC, the tanbur was among the instruments played at the Court of the Sassanides in the 5th and 6th centuries. Though initially used for both secular and sacred music from Egypt and Greece to central and western Asia, the tanbur was consecrated by Shah Khoshin in the 10th century and is currently used in many cultures to accompany chants and dances in devotional gatherings. To learn more about the tanbur, including its history, playing technique, and repertoire, see Jean During, The Spirit of Sounds: The Unique Art of Ostad Elahi (Cranbury, NJ: Cornwall Books, 2003). For Ostad, music was above all a means of communicating with his Beloved. As such, he never performed in public or played the tanbur beyond the circle of his close family and friends. What remains of his music today are recordings by family members made in the intimacy of his home, oftentimes without his knowledge. To date, a collection of 12 albums from these recordings has been digitized and published by Le Chant de Monde. Ostad revolutionized the art of tanbur in multiple ways. To realize the potential of the instrument and elicit the celestial resonances that he sought, he introduced a complex playing technique that included for the first time all five fingers of each hand. Notably, this technique enabled a rolling motion (shor) with the fingers of the right hand that creates a continuous cascade of notes, while the use of all the fingers of the left hand significantly enhanced the intricate ornamentation along the neck of the instrument. 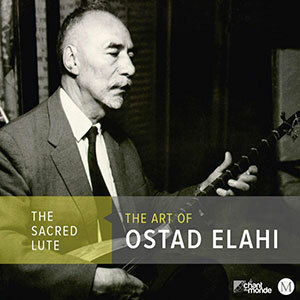 In addition, Ostad made important modifications to the instrument itself, adding a third string by doubling and slightly detuning the higher string, thereby increasing the tanbur ’s range of expression and its polyphonic and dissonant effects. 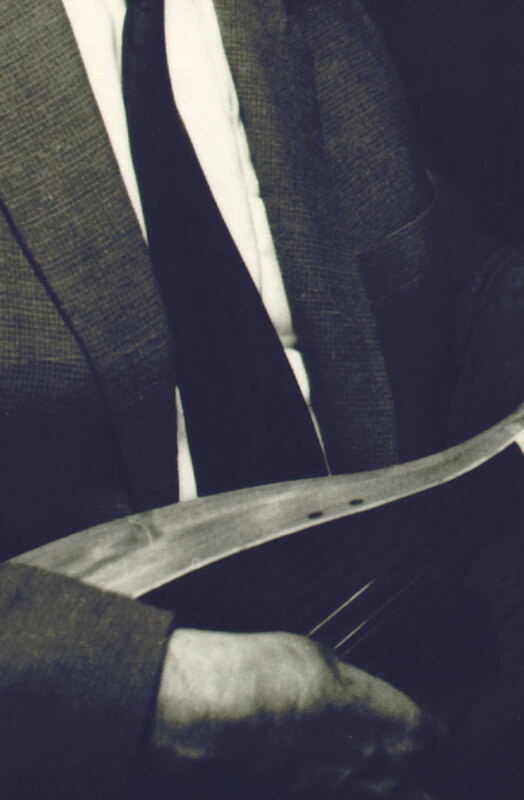 At the same time, he worked closely with master luthiers to standardize the dimensions of the tanbur. 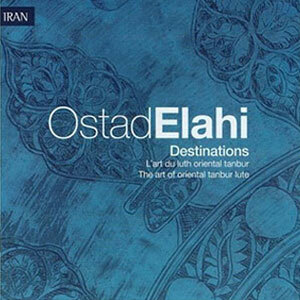 Yet another of Ostad’s major contributions to the art of tanbur is an original repertoire of over a hundred pieces. 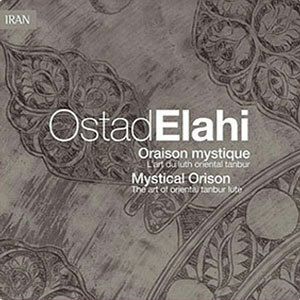 Ostad would use this repertoire as the basis for his inspired improvisations, an art form in itself that highlighted both his creativity and virtuosity, enabling him to play with a freedom never before heard in this type of musical tradition. 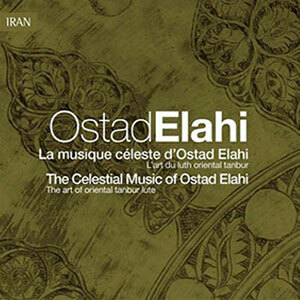 In short, Ostad not only revived but transcended the ancient musical tradition he had inherited as a child. As a result of his efforts and innovations, he transformed a popular tradition with a rudimentary and scattered repertoire into a profound and learned music. 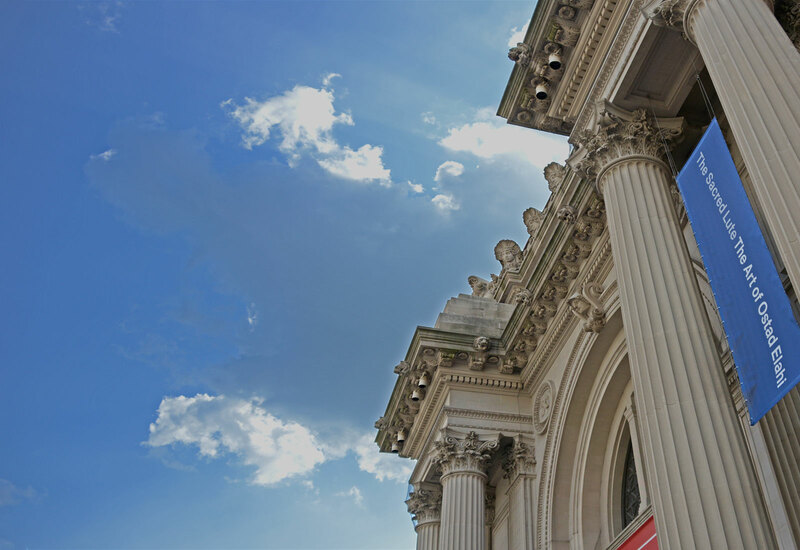 From August 5, 2014 through January 11, 2015, The Metropolitan Museum of Art in New York hosted the first American exhibition to explore the life and music of Ostad Elahi. Sponsored by UNESCO, this highly-acclaimed special exhibition traced the parallel between Ostad’s lifelong pursuit of meaning and self-knowledge and the development and evolution of his musical art. Documenting the transformative relationship between player and instrument, the exhibition featured some forty rare instruments and works of art from Ostad Elahi’s personal collection, the Musée de la Musique in Paris, and the Metropolitan Museum, alongside a number of Ostad Elahi’s personal possessions, such as his judicial robes, a selection of manuscripts, and various musical notations. 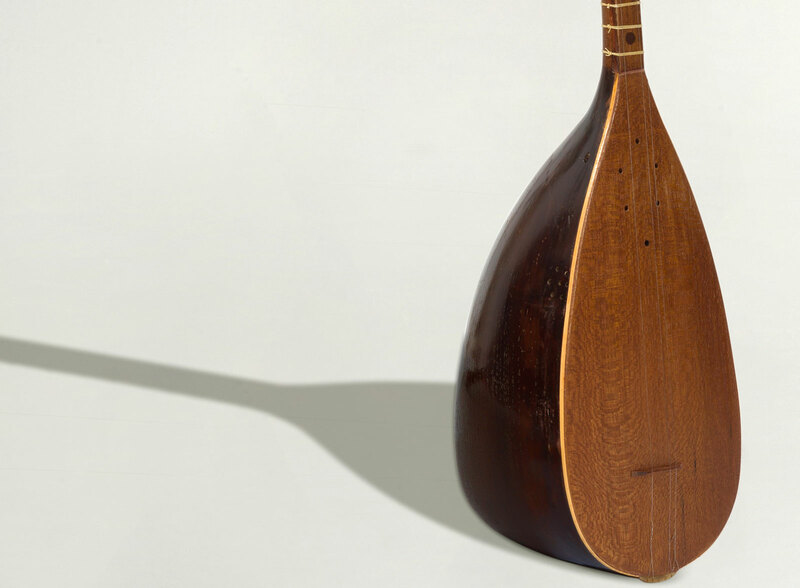 Hosted in the Met’s Department of Islamic Art, the perpetual music of Ostad’s tanbur throughout the gallery created a contemplative environment for visitors. The exhibition also featured a visual narrative depicting the different periods in Ostad’s life, as well as a short video from an upcoming documentary. A number of events, including musical performances, workshops, and panel discussions, were held in conjunction with the exhibition.